While initial settlement of Phoenix originated along the bank of the Salt River in the 1870’s, the residential expansion and rapid growth of the city is a story of investment and land development in the twentieth century. In 1903 prominent leaders and investors began negotiation with the federal government to control the flow of the Salt River in order to resolve concerns of seasonal flooding and to provide a source of water for the city. Prominent businessmen, including Benjamin A. Fowler, Patrick Hurley, E.J. Bennett and Dwight B. Heard, induced the federal government to begin development of the Theodore Roosevelt Dam on the Salt River. The prospect of a consistent supply of water assured the prosperity of Phoenix and the Valley. 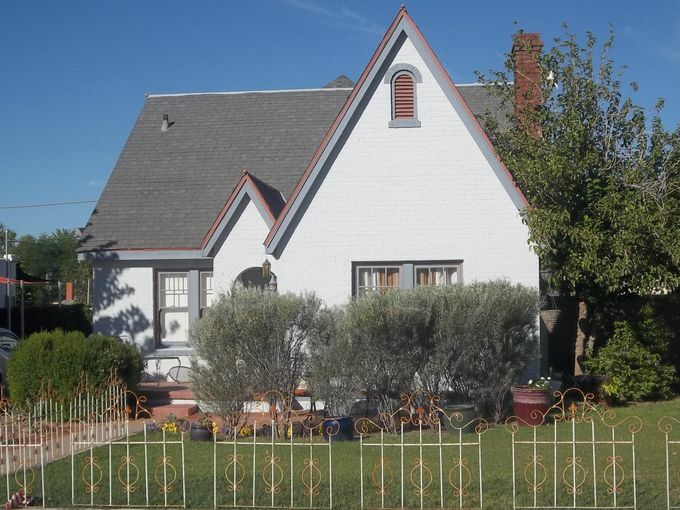 A real estate speculation boom ensued which led to the development of several residential areas around the Phoenix town site over the next few decades. On March 9, 1908, Dwight B. Heard, President of the Suburban Realty Company, petitioned for the subdivision of a quarter section of property bounded by 7th Street, McDowell Road, 12th Street and the canal that, at the time, ran down Oak Street. This was the first subdivision of property in what would become known as the Coronado Neighborhood. Between the years 1906 and 1908, thirty subdivision plats were filed with the Maricopa County Recorder’s office, three of those being in the Coronado district: Homewood Tract, Syndicate Place, and Rancheros Bonitos. These three new subdivisions on the northern edge of Phoenix would, by 1935, comprise part of the largest residential section of the city. The initial intent of the speculators was to build a prestigious “streetcar suburb” such as the Encanto-Palmcroft and Roosevelt Historic Neighborhoods which were established during the same period. However, land values at the time were determined by a home site’s proximity to Central Avenue. Coronado’s comparative distance to the east of Central Avenue and downtown resulted in more modest building restrictions than in other neighborhoods of the city. At that time, restrictions that regulated the minimum cost of houses built on a particular lot were the common means of determining the range of house size in a development. As a result, the Coronado area evolved into a more modest working-class neighborhood than the original investors had envisioned. The prosperity in Historic Phoenix after World War I brought hundreds of the Valley’s new residents; mostly middle class, white and blue collar workers, into the subdivisions in the Coronado area. 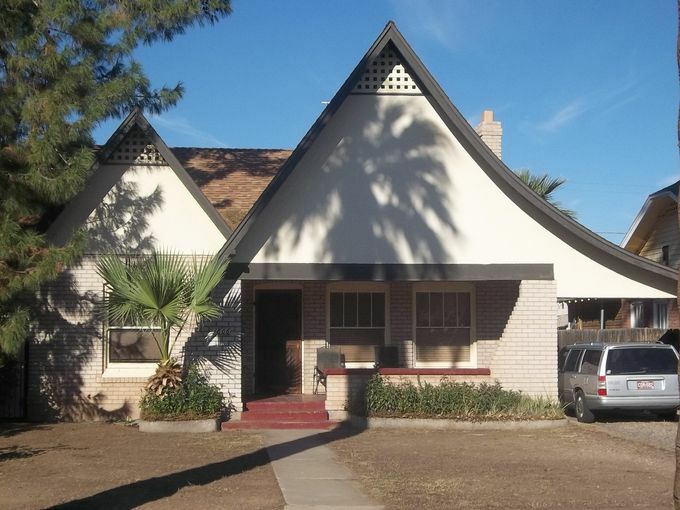 In 1920 alone, over 800 building permits were issued by the City of Phoenix, with contractors purchasing whole blocks and building several “spec” houses at a time. Building homes on speculation, without any financial commitment from a buyer, was a relatively progressive idea for its day. As residential construction in central Phoenix boomed, Coronado and its homes emerged as a desirable and affordable area. The average price of a residence was $1,973 in 1920. Lots were provided with city water and sewer connections, electricity and graveled streets. Other facilities in and around the Coronado area influenced its growth. The Brill Street trolley car line was extended north of McDowell Road to 10th Street and Sheridan in 1914. A small commercial node developed at that corner; the New Deal Grocery (ca. 1934), still stands to reflect the commercial activity. Good Samaritan Hospital, originally called Deaconess Hospital, was built in 1917. The construction of Emerson School in 1921 and the location of Coronado Park encouraged young families to move into the area. Most residents were hard working, service industry workers. Workingwomen were salesclerks or clerical office workers. Men’s occupations covered the spectrum of employment available in the early part of the century: firemen, policemen, bank tellers, railroad engineers, and other types of service sector employees. As in the rest of the community, the Great Depression significantly slowed development in Coronado. Many homeowners were forced to sell, while others converted their backyard garages into living quarters and rented out the main house. Although done out of necessity, this practice turned out to be a very positive economic strategy. Many residents were able to move back into their homes and retain the converted living quarters as rental property. The first city zoning code enacted in 1930 reflected the widespread application of this practice and it is still evident in Coronado today. As the economy began to turn itself around, Coronado became the site of the first planned, mass-produced subdivision in Phoenix. Andy Womack, who would become a prominent developer in Phoenix, built the Womack Subdivision in 1939 in the area bordered by Monte Vista, 14th Street, Palm Lane and 13th Street. Womack took the idea of 46 spec” homes one step further, by building homes on the lots, constructing what would become a tract home development. With the success of the Womack Subdivision, various developers quickly subdivided the remaining tracts in the portions of the Coronado Neighborhood east of 12th Street. The impact of the Depression significantly influenced the architecture of Coronado Historical because it slowed the development. By the time construction activity resumed, architectural styles had shifted. As a result, there are two distinct areas within the district. The area between 7th and 12th Streets dates back to the 1920’s, while the remainder of the district dates to the late 30’s and 40’s. Approximately 600 buildings in the district date between 1920 and 1930. 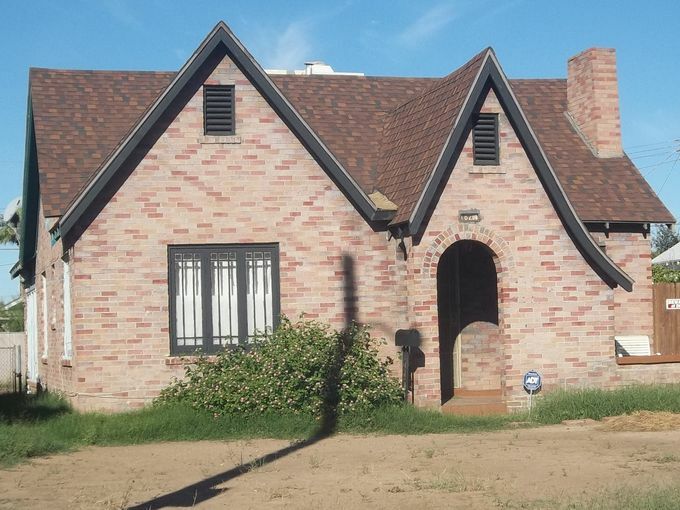 The predominant building style seen in the western portion of Coronado is the Bungalow which is a one-story house with a simple, functional floor plan, also characterized by broadly pitched overhanging roof gables and broad front porches with stone or brick piers. Some Period Revival Styles, most notably those of the Spanish Colonial traditions, can also be found scattered throughout the district. In the eastern portion of the neighborhood, there are also numerous examples of the English Cottage and Tudor Revival Styles. Garages are typically found in the rear of the lot and usually incorporate some architectural details of the main house. 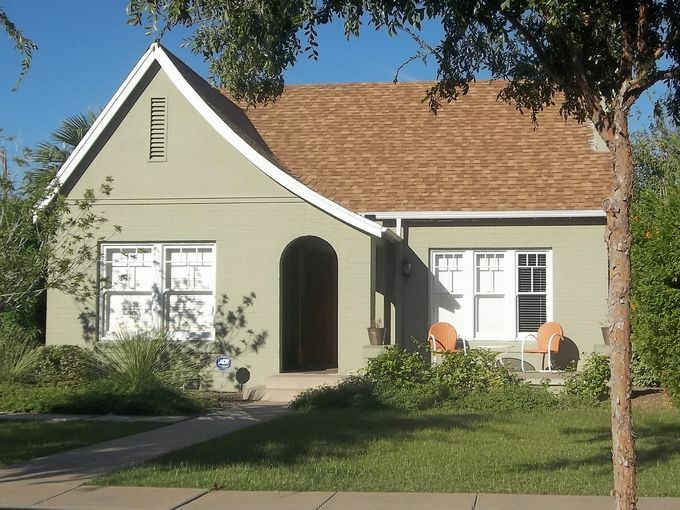 The Coronado Neighborhood is both typical of the early sub urbanization of Phoenix and reflective of trends that shaped the city’s neighborhoods as they developed between the two World Wars. A large portion of the Coronado district still retains much of the character of a modest streetcar suburb of the 1920’s and remains as a viable middle-class neighborhood. 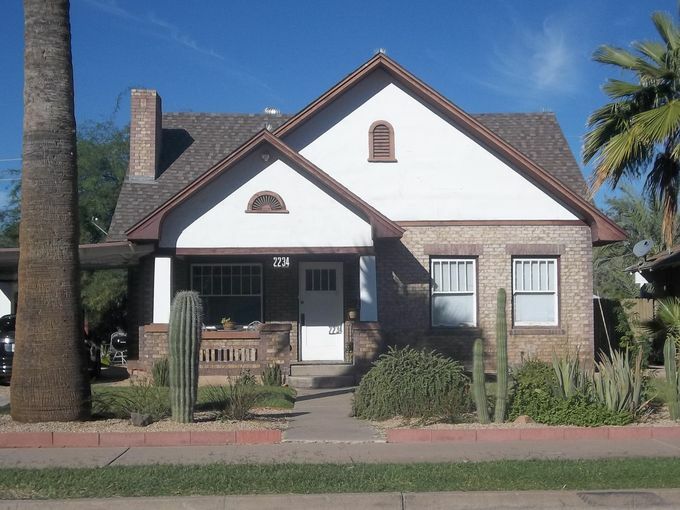 Coronado’s architectural significance comes from its diverse collection of residential styles, predominantly Bungalow, Spanish Colonial Revival, and Tudor Revival that dominated Phoenix neighborhoods from the 1910’s through 1930’s.